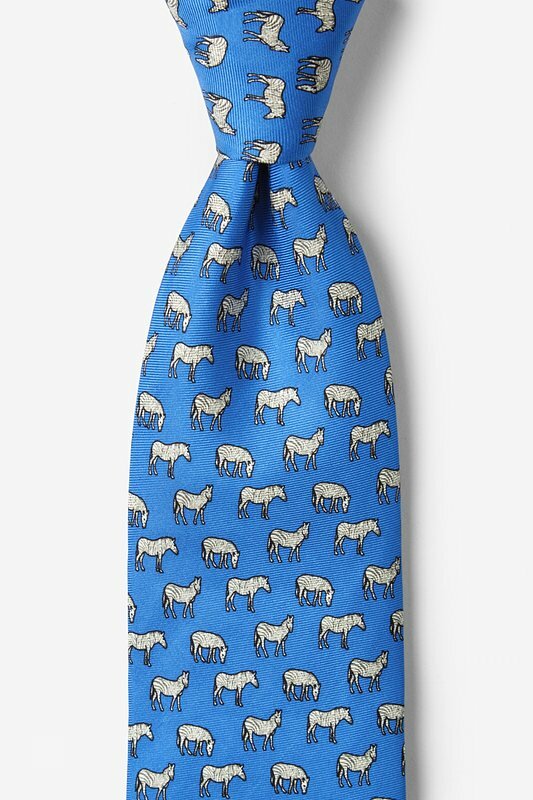 Zebras inhabit the African safaris and savannas, and now they can inhabit your closet with the Zebra Tie. 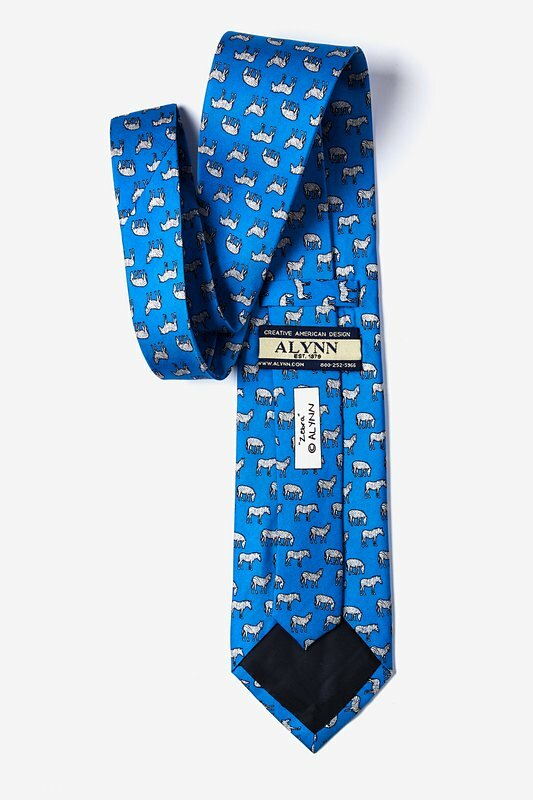 Show off your stripes with this 100% silk tie from Alynn Ne... read more Zebras inhabit the African safaris and savannas, and now they can inhabit your closet with the Zebra Tie. Show off your stripes with this 100% silk tie from Alynn Neckwear. With this tie around your neck, you can bring a little bit of Africa into your wardrobe.